I went yesterday evening to hear Seamus Heaney talking to Kevin Crossley-Holland about his life and work. It is a measure of how very highly SH is regarded that the uncomfortable upper levels of the Sheldonian were packed. He read to us, 'Personal Helicon' amongst others and, at the end, 'Postscript'. He greatly admires Robert Henryson, the Scottish poet. Someone asked how he knew when a poem was finished - an excellent question, he said. Someone he knew had tried to write a PhD on the subject but had to give up for lack of evidence. 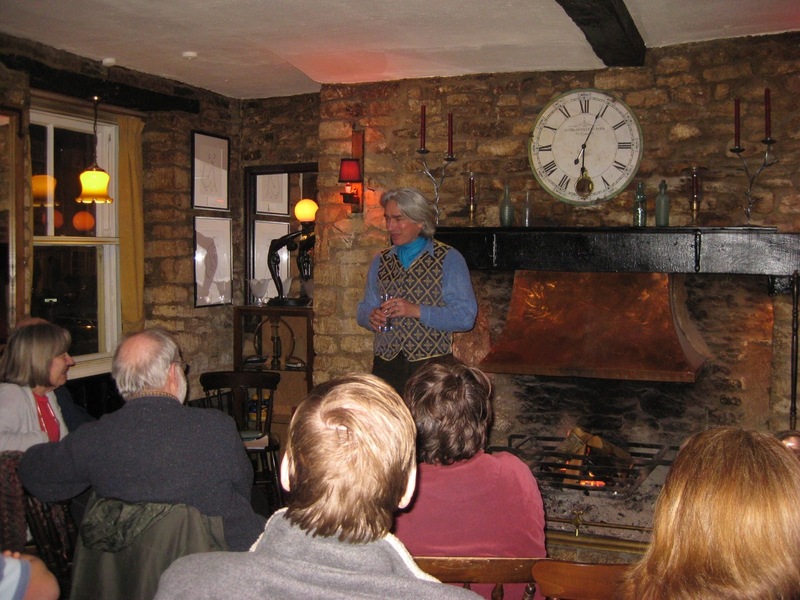 The Woodstock Arms provided a very cosy and hospitable venue for storyteller Kevan Manwaring when we met there last Sunday, with a crackling fire - just the right setting for Oxfordshire folktales...Kevan told several tales, among them the story of Frideswide and the Treacle Well and, even more local to Woodstock, Fair Rosamund's Bower - all to be found in his collection published by The History Press.